A very welcome album from a duo who first were seen together some 30 years ago, although this is the first time they have appeared together performing as a duo. Nabatov is an extraordinary composer and pianist who in pursuit of the development and refining of his music apprehends novel arrangements and looks for new associations with historical formulations including those from classical and mainstream inspirations. 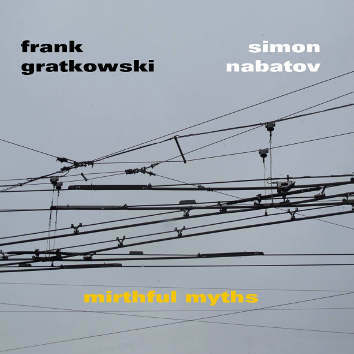 Gratkowski’s instruments are always a delight to hear. The woodwind/piano interchanges are very intimate and often quite droll, as their players seem to be sharing some secret anecdotes. At other times, they are pensive and the discussion seems to centre around how they may contest each other’s improvisation or even the capabilities of each other’s instrument/s. There is also a lot of fun to be had and the music is always exhilarating, the questions raised by one’s perceptions reflected and answered through the musical instincts of the other. This is 66 minutes of thoroughly enjoyable music that never lets the listener out of the cold.